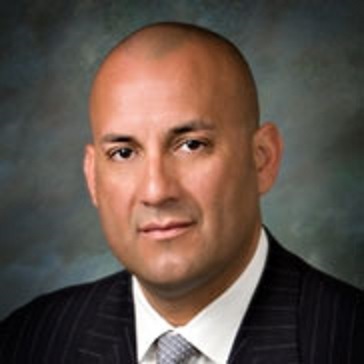 Peter R. Villegas is Vice President and the Head of the Office of Latin Affairs for the Coca-Cola Company. In his position, Mr. Villegas serves as a national spokesman for the company developing and managing the execution of local, regional and national strategies that position the Company as a leading corporate citizen in the U.S. Hispanic community. Peter’s responsibility include managing relationships with key local, state and national Hispanic political, community, business and civic leaders. Recognized as a regional and national corporate leader, Peter has wide-range knowledge of various corporate, civic, political and community issues and initiatives and has 23 years of experience in corporate America. Los Angeles Latino Chamber of Commerce Advisory Council. Peter was also appointed as a Commissioner in the city of Rancho Cucamonga. Peter received the Shimon Peres Visionary & Leadership Award presented by the Israeli Consulate of Los Angeles in 2016 and was recognized in 2015 by Hispanic Executive Magazine as one of the top 10 Latino executives in the country. Peter received the 2012 United States Hispanic Chamber of Commerce Corporate Advocate of the year award and in 2005, the Orange County Register identified Peter as one of the top ten people who will help shape the next 100 years of Orange County, CA.